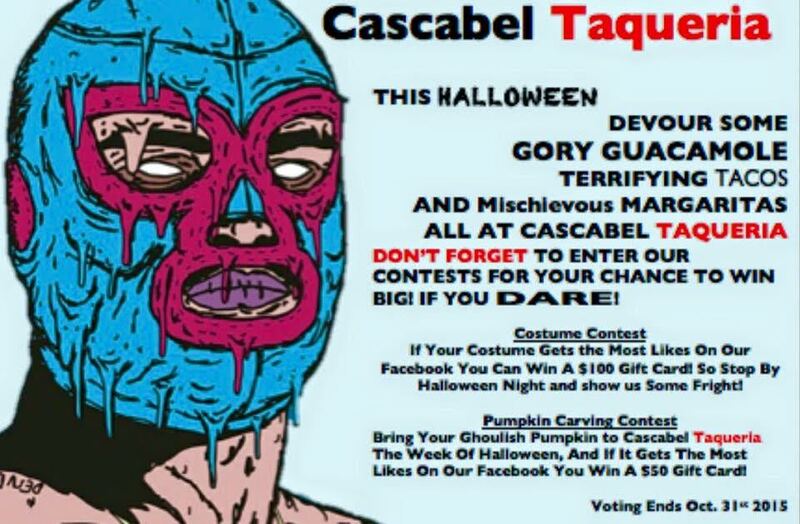 All week long, Cascabel Taqueria is hosting a Pumpkin Carving Contest at both of their locations. Bring your pumpkin by either location and they will post a picture to their facebook page. The pumpkin with the most votes (voting ends October 31) will win a $50 Cascabel gift card! For those who have their sights set on a bigger prize, Cascabel will be hosting a traditional costume contest and giving a $100 gift card to the winner! Cascabel Taqueria is located at 1556 Second Avenue (at 81st Street) and 2799 Broadway (at 108th Street). For more information, please visit www.cascabeltaqueria.com. Tags: contest, halloween, pumpkin carving. Bookmark the permalink.